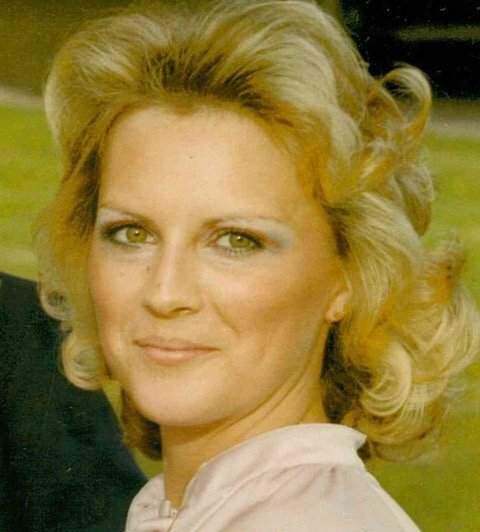 60 year old Jamye Sue Maples Atnip of Smithville passed away Thursday at her residence. She was a retired factory worker and a Baptist. 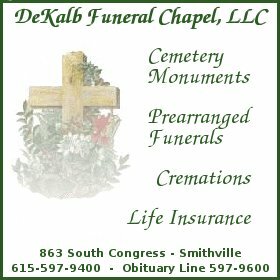 The funeral service will be at 2 p.m. on Saturday at the Chapel of Love-Cantrell Funeral Home with burial in DeKalb Memorial Gardens. Jordan Atnip and Donald Owens will officiate. Visitation with the family will be Friday from 3 p.m. until 8 p.m. and on Saturday from 10 a.m. until the service at 2 p.m. Ms. Atnip was preceded in death by her parents, James and Peggy Young Maples and one sister, Mary Wilson. Survivors include her son, Eric and Beth Atnip of Smithville; grandchildren, Wyatt and Elias Atnip of Smithville; sister, LouAnn and Jimmy Midgett of Dowelltown; brother, Joey Maples of Smithville; special friend and father of her son, Dennis Atnip. Several nieces, nephews, and cousins also survive. 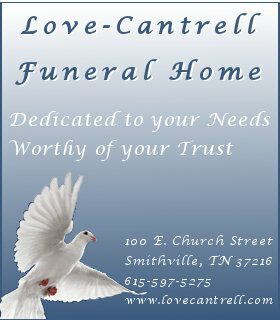 Love-Cantrell Funeral Home is in charge of the arrangements.